Home / What do I do if I am arrested? Police may have attended your house or workplace and indicated to you that you are under arrest. This can be an intimidating and scary process, particularly if you have never been arrested before. If a police officer reasonably believes that you have committed an offence, they have the power to arrest you, whether you have committed that offence or not. It is important to be cordial with the police at all times. Losing your temper at the point of arrest cannot help you in any way. If you are not sure that you are under arrest, you can ask the police officer “Am I under arrest?” If the answer is, “No”, then you do not have to go with police. If you refuse to go with police after they have informed you that you are under arrest, then you could be charged with resisting arrest. Consequently, it is important that you follow all lawful directions of police. The rule of thumb is that if police have indicated to you that you are under arrest…… stay calm and be compliant. If the police have done something procedurally wrong, this can be addressed at a later date. 3. What must police tell you at the time of arrest? When police arrest you, they must tell you why you are being arrested. You are entitled to request the name, rank and registered number of the arresting officer. 4. What must you tell police at the time of arrest? You must tell police your name and address. 5. Prior to being interviewed, police must provide you a caution. They will then ask you whether you would like to communicate with a lawyer. If the answer is yes, they will either point to some numbers on a board or provide you with access to the internet to search for a lawyer. When being provided advice by a lawyer, make sure that police cannot hear what you are saying, as police must give you privacy when you are seeking legal advice. Understand that all lawyers are not equal. Some lawyers will provide advice when they have no criminal law expertise at all, which is reckless. If you have been arrested, call the Dribbin & Brown Criminal Lawyers after-hours office number prior to interview on (03) 8644 7333. Understanding how to approach your interview is a critical decision and should only be made after speaking to an experienced criminal lawyer. If no one answers immediately, someone will call you back quickly. 6. What happens during the interview process? In relation to indictable matters any record of interview must be recorded, usually as a DVD recording. You will be provided a copy of this DVD at the conclusion of the interview. It is important to look presentable and also consider your body language during the interview. Whether you are making a comment or no comment interview, it is critical to remember that a Jury may, at some stage, watch the recording. For more information about what to say in a record of interview, follow the link. 7. If you are 15 years or older, police can take your fingerprints. If you refuse, police have the power to take them by force. See Crimes Act 1958 Section 464K. 8. Police may want to obtain a forensic sample from you. Speak to a lawyer about your rights here. 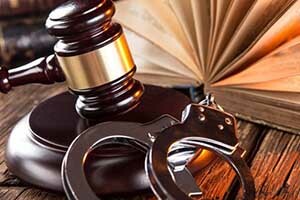 Depending on the nature of the investigation, police can release you without charge, charge and bail you to appear at court (also meaning you are released) or remand you in custody, which means that you will be taken before a Magistrate to decide whether you will be released on bail pending determination of the matter. We cannot stress the importance of obtaining competent legal representation at the interview stage. If you are on the way to the police station or have been charged and now need assistance, call Dribbin & Brown Criminal Lawyers today so that we can assess how to best help you.